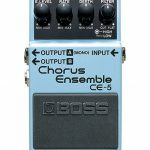 Ever since effects pedals became a thing, chorus pedals became one of the most practical and most used tools in the industry. Not everyone has the luxury of having several guitar players standing by to give their tone some girth. And while most genres of music will deal with a single guitar player just fine, adding a bit of range to your tone can’t really hurt. On the contrary, using a chorus pedal can turn your tone upside down within minutes. 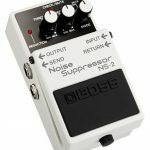 These days almost every self-respecting guitar player will have a chorus pedal of some sorts on their pedalboard. 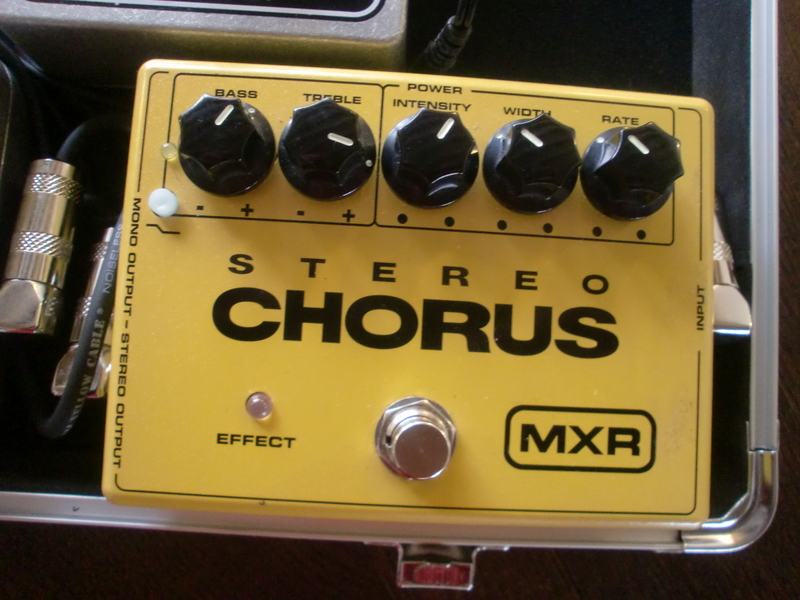 One of the better models which has really stood out due to its uncompromising performance is the MXR M134 Stereo Chorus. This pedal brings this effect in a simple, yet powerful package. Today we are going to take a closer look and see what is it that makes MXR M134 Stereo Chorus so popular. Until somewhat recently, MXR has been an independent brand with a long history and a track record full of legendary effects pedals. Ever since Dunlop took charge of MXR’s operations, we’ve seen a very significant increase in quality and overall performance of MXR pedals. MXR M134 is just one of the models which perfectly illustrates just how true this statement really is. What you see here is a rather chunky effects pedal. Its design is rather reminiscent of the ’70s, which has been something MXR excelled at since ever. The pedal comes in an old school fully metal, double wide enclosure which is painted yellow. In terms of graphic design on the top panel, MXR delivered a very simplistic layout. Again, nothing all that strange considering the decades-long history of this brand. The top panel is also where you will find all of your controls. Unlike a lot of other chorus pedals on the market, MXR M134 isn’t cluttered with useless and counter-intuitive controls. Instead, you get a very clean layout which you can easily use under normal conditions, or on stage. Knob cluster is actually divided into two separate clusters. On the right, you will find all of the controls necessary to shape nature of the chorus effect. On top of that, you also get a two-band EQ on the other end of the control section. If you take a look at the input-output cluster on the MXR M134, you’ll see both mono and stereo outputs. That’s right, you can hook this bad boy up to two different amps for even richer tone. Underneath the knobs, there is a single foot switch accompanied by a very bright red LED light. MXR switches used to be a part of controversy several years ago. Thankfully for us, those issues have been resolved so far and MXR is back in business. The exact switch on this pedal is a heavy duty model designed to take and withstand some serious abuse. One of the things that really make MXR M134 Chorus so attractive is how much performance you can get without too much effort. In other words, how well it responds to input. For one, the effect you get out of the box is worthy of praise in all aspects. The controls are pretty rudimentary, which is something a number of guitar players probably won’t like. However, this thing was not made for clinical use where high levels of fidelity are a must. On the contrary, this is a working man’s chorus pedal which will get you what you need, without making you spend 20 minutes dialing in the tone. Here’s a demo of the pedal courtesy of ProGuitarShopDemos. For the most part, M134 is transparent. Chorus effect it offers comes across as organic, and is very responsive to your adjustments. This type of nature allows you to touch it up in the middle of a performance, if necessary. Since it has its own two-band EQ, you can expect to get a bit more than just a chorus out of this pedal. Placing this bad boy somewhere in the middle of your signal chain will allow you to do one more layer of tone shaping before the signal hits the amp. While an EQ is not essential for a good chorus, it is a neat addition. Hooking the MXR M134 in stereo mode offers some pretty interesting results. The pedal translates well to two different cabs, and definitely brings out that saturation once you kick things off. With that said, most people will be using it in mono configuration. Compared to some other chorus pedals on the market, MXR M134 is holding its ground with a lot of success. If you are someone who’s looking for proven quality at a reasonable price, you should definitely consider the MXR M134. 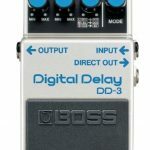 After all, some of the most skilled guitar players of today are using this exact pedal. If you’re wondering who that might be, we’ll give you John Petrucci as one of the heavy hitters. Those familiar with Dream Theater and Petrucci’s playing style will know that he has pretty high standards when it comes to his gear. Him owning and actively using the M134 is all the proof you need that this pedal delivers. At the end of the day, you have to ask yourself what kind of pedal you’re looking for. MXR M134 can be your best friend, or a complete disappointment depending on your personal requirements. It’s not one of those high end, high tech pedals which will let you change just about every single variable. It was never designed for that type of use. Instead, MXR M134 offers the raw chorus effect which is full and organic. Pair this thing with a decent single coil guitar, and you are in business. The sheer range, flexibility, and versatility of this pedal is bound to impress even the most talented, experienced guitar players out there. MXR M134 is something you should definitely add to your shortlist of choruses. 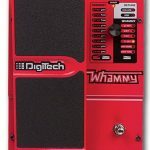 Which Chorus Pedal Does Yngwie Malmsteen Use?